I expected to get trashy fun when I bought the ticket for the film. But I didn’t expect to be honestly touched by the movie – and it’s all due to Jeff Bridges. He says the cheesiest lines and he not only gets away with it, but actually makes them work. [Also, that man was freaking hot. 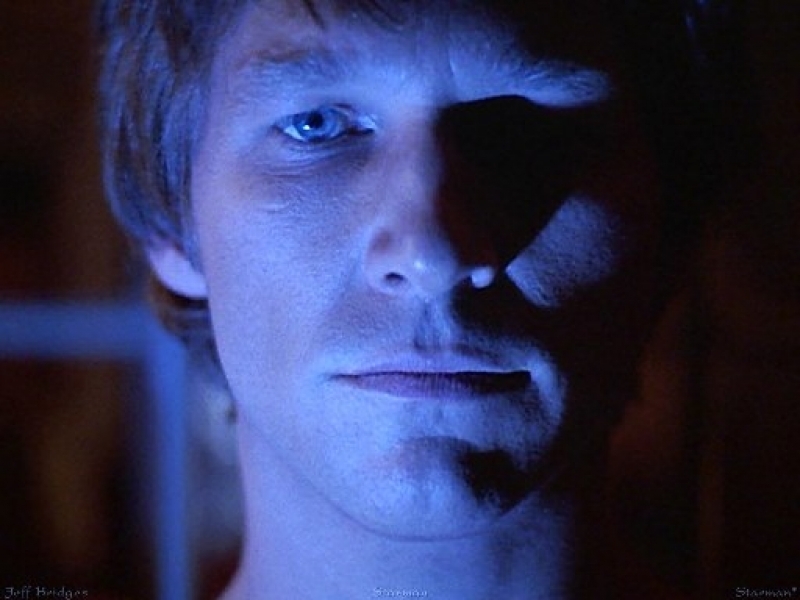 I mean, TRON gave me some warning, but he was even hotter in this film…] And he’s funny. Karen Allen, alas, wasn’t as lucky/talented: She gets even cheesier lines and they sound incredibly cheesy when she says them – nothing more. Charles Martin Smith gets the fun part as the witty uber-geek and it works very, very well. The audio quality, unfortunately, gave me a major urge to remaster it. Especially the soundtrack was a little distorted (and I usually really don’t pay much attention to the audio, so when I notice it, it’s seriously off). The biggest problem was the script, which tries to be very deep but is so obvious about it, that it doesn’t really work out. Still, there are some nice scenes and thoughts there – and some pretty brilliant humor. Summarising: While not perfect, the movie is worth to watch just for Bridges’ sake. 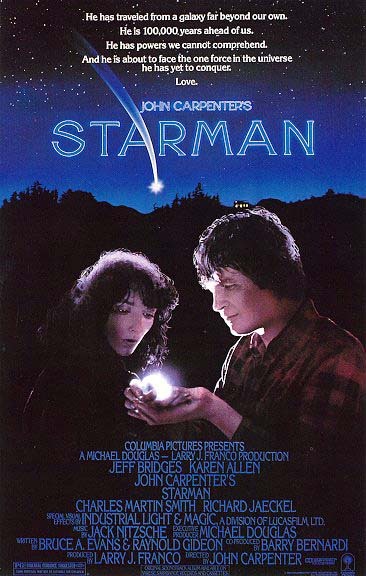 This entry was posted in movies and tagged 1984, Charles Martin Smith, Filmmuseum, Jeff Bridges, John Carpenter, Karen Allen, Starman by kalafudra. Bookmark the permalink.